Dr. Harleen Quinzel started her career at Arkham Asylum, and she hasn't strayed very far from there! Harley's got a hot look inspired by the bestselling video game Batman: Arkham Asylum in this release sculpted by Jack Mathews. 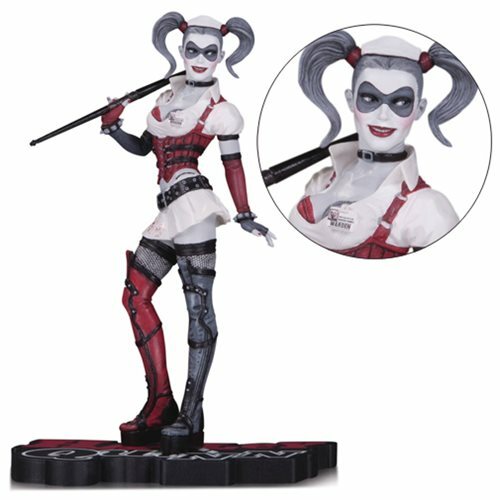 The Batman: Arkham Asylum Harley Quinn Red Black and White Statue measures approximately 7-inches tall and comes packaged in a closed box. Ages 13 and up.